As a women business owner I’m well aware of the struggles women face in the workplace or while running their own business. The demands that society places on us can be daunting, to say the least. I’ve met some incredible women over the years, had mentors that were very successful, not only in business but in other aspects of life as well. What I’ve noticed about the most successful women I know is that they have a common thread that seems to run through them all. I define it as balance. They have a balanced approach to life even when faced with challenges, major health issues such as breast cancer or other obstacles. In honor of Breast Cancer Awareness month, here at Laguna Candles we've created our new, big “Why” and we call it “Enlightened Living”. As our business continues to grow and we embrace the concept of becoming a global brand, I've come to realize that to be enlightened is a true anchor point for me and my company. To be enlightened means to be healthy, balanced, thoughtful, and considerate of others. It also means being patient, humble, loving & kind. Especially when the world says you should be otherwise. Find time to breathe, to walk, to meditate, travel and enjoy your love ones while you can. I guarantee the world and all its challenges will wait. Luxury Candles and Home Fragrance for Enlightened Living! 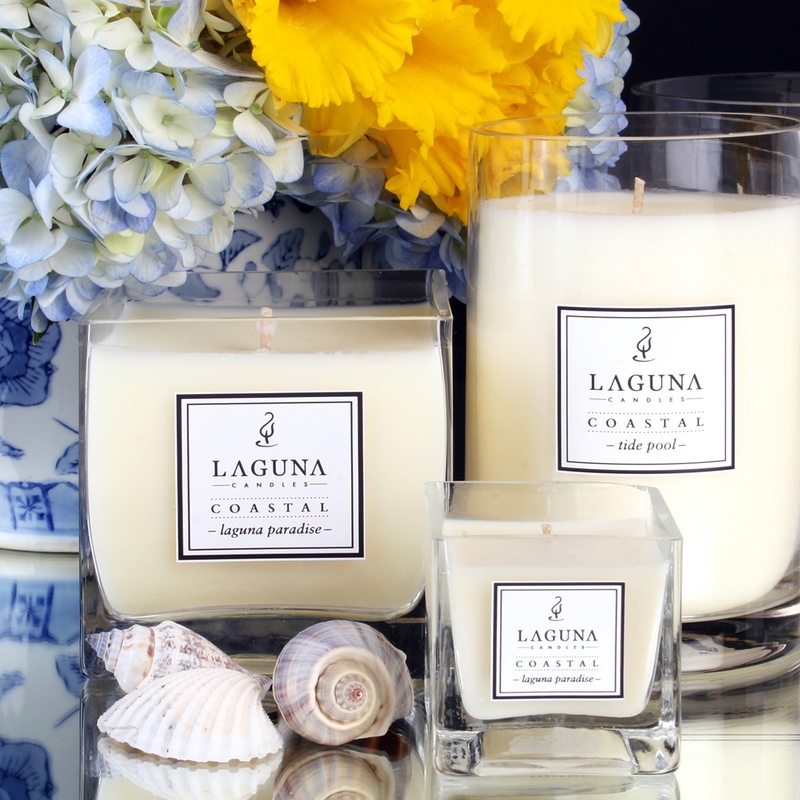 Laguna Candles was founded on the desire to offer a collection of the finest Fragrant Candles. All of our candles are comprised of soy wax blends, unbleached cotton wicks and the best natural extracts to create unforgettable scents for your home, office or spa. Laguna Candles will captivate your senses and the beauty of our candle vessels will, most certainly, endure the test of time. Our brilliantly fused collection is inspired by the beauty and reverence of the beautiful coastal community where we're located. Please visit our newest retail located @The Hive Laguna 821-A Laguna Canyon Road, Laguna Beach. We hope that as you shop for your home, office or spa, you'll find the same inspiration we derived from our travels, art, fashion, architecture and other modern trends. We're certain that the you will find unbelievable value, luxury & uncommon function. The experience of fragrance and the candle! Laguna Candles has always sought to bring one of the cleanest burning, Coconut blend candles to market. We spend hours of research with fragrance as well. Did you know that the essential oil from lemon helps with concentration and is also a natural insect repellent. Lavender is beneficial in helping sooth headaches, sleep problems, anxiety and depression. Jasmine is beneficial for calming tension and improving alertness. Not just a candle but an experience! Private Label brands will create successful sales opportunities for Retailers. The perception of Private Label goods has never been as high as it is at this time based on the Nielsen Global survey for private label. Private Label gives the customer the opportunity to make quick adjustments which help with speed-to market for your customer’s product! Your Custom Private Label Brand gives the client the strong perception of taking the Spa experience home with them after their visit. Affordable minimum orders allows the start up a chance to get started on an small budget. Natural waxes such as Coconut, Palm and Soy combined with essential oils and cotton wicks create a clean burning candle with exceptional scent throw. The correct wick size is an all-important component that will create an even wax pool from edge to edge. Thus, increasing the release of fragrance into the room. Laguna Candles offers it’s customers an extraordinary opportunity to experience the intriguing and enchanted world of fine fragrances with custom made fragrances for the home and body. Our candle fragrances are complex, yet subtle, elegant and refined. For more information on these bespoke, clean-burning, private label candles contact us at:info@lagunacandles.com. Many vacationers love to take a little bit of the trip home with them. Our latest project with Fairmont Hotels gave us a glimpse of how much appreciated the retail shops and spas are to the international and domestic travelers. Kudos to you travelers for sharing our Laguna Candles brand and story!